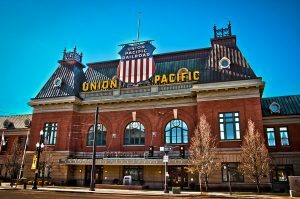 Union Pacific Corp. (NYSE:UNP) has announced that it will cut 750 jobs from its United States workforce by mid-September. Union Pacific is the nation’s second-largest freight railroad, trailing only western freight train rival BNSF Railway in size among the seven big cargo-carrying railroads. In the second quarter, Union Pacific had about 42,000 employees across 23 U.S. states. The layoffs are part of a broader cost-cutting move by the company. Union Pacific said it expects to cut costs by between $350 million to $400 million this year. Through the first six months of 2017, Union Pacific had net income of $2.2 billion, up 14 percent from a year earlier. Union Pacific says the layoffs will save the company about $110 million annually. The railroad will record $90 million in pretax severance costs, including $15 million for severance pay plus pension benefits and other expenses. Most of those costs are expected to be booked in the third quarter. Union Pacific shares were up about 1 percent Wednesday in New York Stock Exchange trading. The stock is now hovering around $106 a share. The shares have risen about 15 percent in the past year. Major U.S. railroads have been hit by precipitous declines over the past two years. Both CSX and Norfolk Southern have also announced aggressive cost-cutting efforts in the past year. Norfolk Southern is reducing its expenses by $650 million by 2020, with more than $100 million in cost cuts slated for this year. CSX has announced 2,300 layoffs this year. Other large blue chip American firms have also determined that more can be done with fewer employees. Sporting goods maker Nike, food manufacturer Kraft Heinz, and carmaker General Motors have all announced significant job cuts in the recent past. Nike, which had a $2.1 billion profit this year through June, announced the planned elimination of 1,400 jobs. GM has eliminated 5,000 jobs since November, even though it earned $4.3 billion of profit through June, and $9.4 billion last year. Kraft Heinz had a profit of $3.6 billion last year and a new company goal of cutting 5,150 jobs in coming years.